Plot? As with many of the Kasie West novels that I’ve read, this story is perfect romantic comedy fodder. Abby creates a ten item list that she is determined to accomplish in order to help grow her heart and improve her art, with items that cover all sorts of personal growth. As she attempts to complete the list alongside her best friend (and unrequited crush) Cooper, Abby gets into all sorts of shenanigans and learns that there is more to changing her art than just the completion of a list. I adored this story so much! I thought it was so relatable, as someone who also works hard to improve and grow creatively, to have a main character striving to gain more experience. I also loved that there were additional aspects to the story, particularly when it came to Abby’s real life relationships with her family and her friends. It was just a well-written story with multiple aspects to the tale, and I enjoyed it a lot. Writing? Compulsively and easily readable, which is something I’ve come to expect from Kasie West’s novels. I did love that there were so many moments that made me smile and that West also managed to make me super emotional at one point too. Overall? 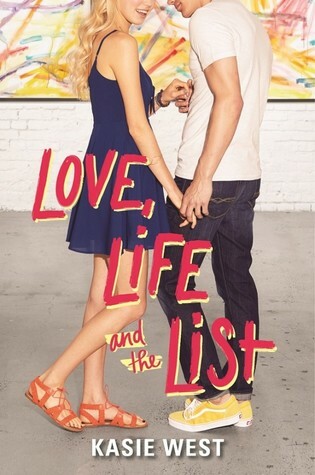 In case it wasn’t obvious already, I loved Love, Life and the List so, so much. It’s my favorite of Kasie West’s contemporary YA romances! The romantic tropes, the character growth, the relationships with the secondary characters, the interweaving of the romantic and personal plot – all of it was this wonderful rom-com package that had me smiling and gushing and emotional. I’d highly recommend adding this one to your TBR and pre-order lists! What’s your favorite friends-to-lovers story? I’m sorely tempted to say that this one is my favorite, and you’ll have to indulge me when I say that it’s in my top ten. But the first story that comes to mind when I think of friends-to-lovers is 13 Going on 30, a romantic comedy film that I absolutely adore.